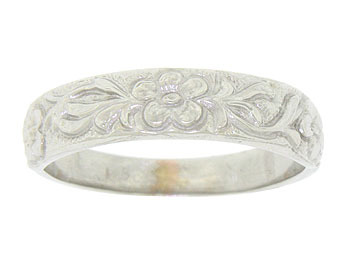 Crafted of 14K white gold, this antique style wedding band is decorated with a tumble of romantic blossoms and leaves. 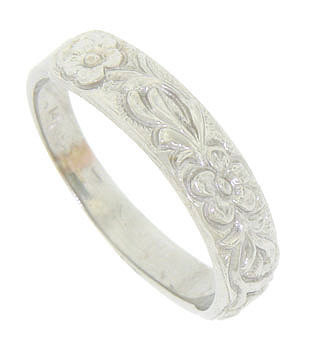 These jubilant florals are deeply engraved adding greater dimension to the lovely ring. This wedding ring measures 3.32 mm in width. Size 8 3/4. We can re-size slightly.